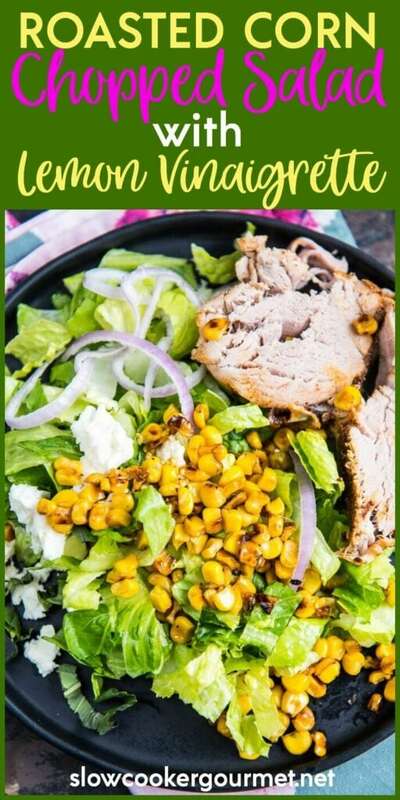 An easy dinner that cooks while you are away! 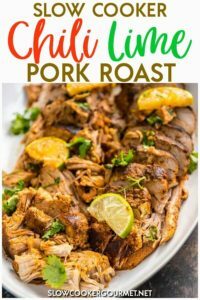 Slow Cooker Chili Lime Pork Roast is quick and simple to prepare and turns out so juicy and flavorful! You guys are always so awesome when I share pork chop recipes and let me know when you’ve tried them and love them! So today, instead of chops, I thought I’d share a pork roast recipe instead! 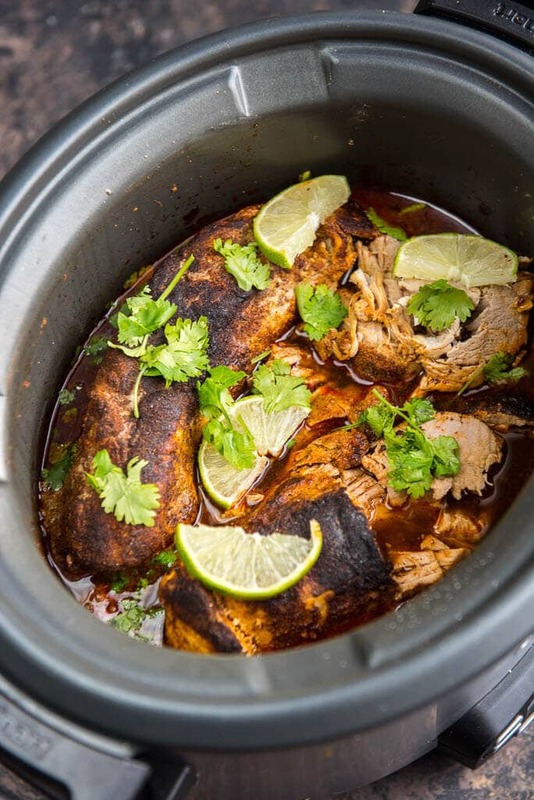 This Slow Cooker Chili Lime Pork Roast is super simple, healthy and can get into your slow cooker in no time. I did brown it a little using my multi-cooker. The important part to note is you can go on with your day and come home to the most delicious flavorful and easy dinner you’ll have all week. I’m going to bet on this one and say I’ll think it will become a regular in your menu rotation! 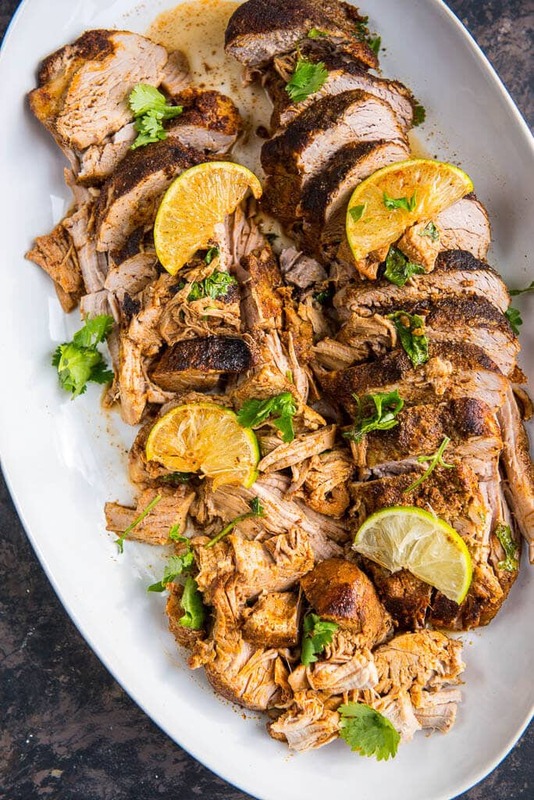 A simple seasoning rub of 5 ingredients is all you need to make this slow cooker pork tenderloin! 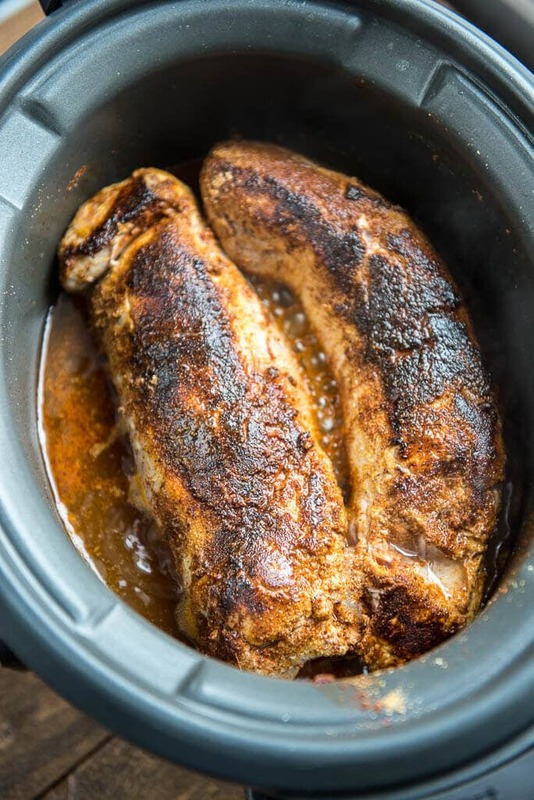 Pork loin is easy to find and doesn’t require much prep work to get it in the slow cooker. I decided to brown mine up first but I don’t think you’d be disappointed if you wanted to skip this step. As mentioned, I used my multi-cooker to brown it up, which I love. Just set the buttons to slow cooker after you are done and it will continue to cook away. This has been a worthwhile investment for me because I certainly don’t enjoy doing dishes. A little lime juice and broth and a long day of slow cooking and you will end up with a roast that’s nothing like the boring variety. 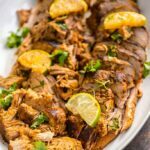 This slow cooker pork tenderloin packs a flavor punch and is perfect for serving with anything from rice to salad. The winner by far, though, was the salad. The roasted corn was perfect with the chili lime flavors. An easy dinner that cooks while you are away! 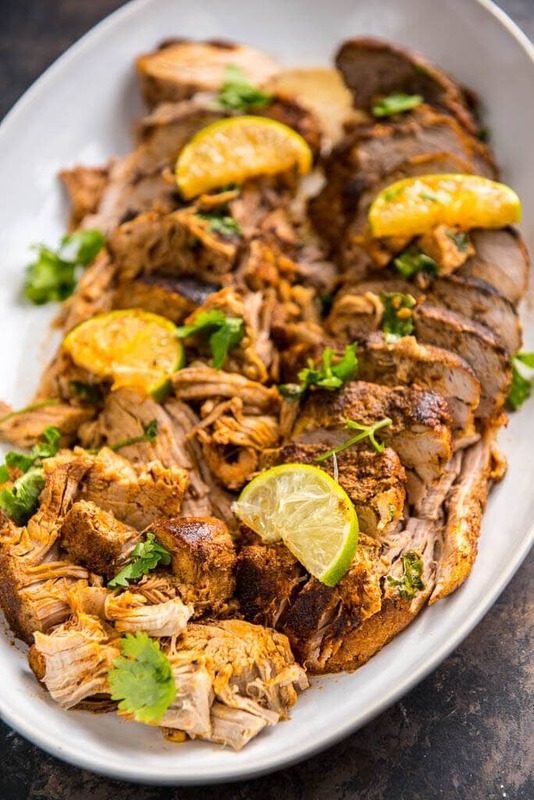 Slow Cooker Chili Lime Pork Roast is quick to prepare and turns out so juicy and flavorful! I made this recipe, without browning the meat first, and it was fantastic! I cooked it for 6 hours. I shredded the meat and we made burrito bowls with salsa, cheese, tomatoes and avocados. Thanks! Why wouldn’t you use a Pork Loin for this? Please, no offense, but I’ve never understood recipes that use the tenderest piece of pork for long slow cooking. I always save the Tenderloin recipes for times when I need tenderness, quick cooking, easy cooking, set aside to rest while you finish the other dishes. For the grill, the stove top or the oven… tenderloin is perfect. This sounds amazing and I will try it – but with a loin roast which I will slice down the middle to sort of look like the tenders – LOL! 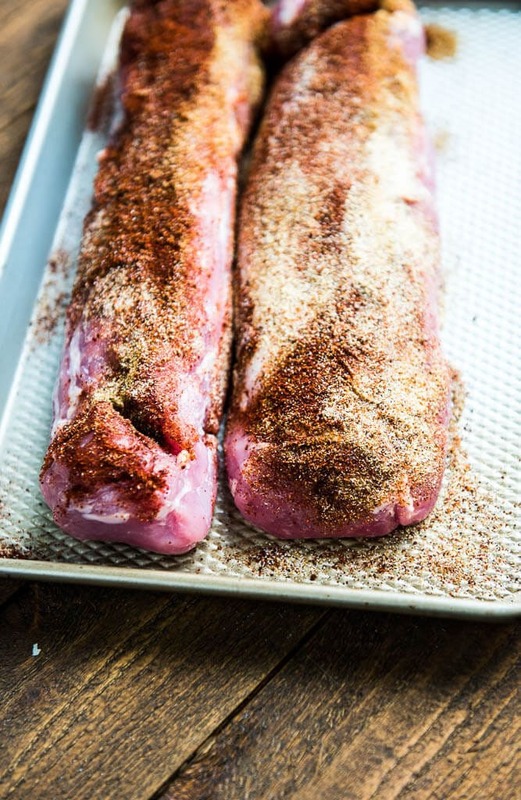 Is this a Pork Loin or Pork tenderloin because in the photo it resembles a tenderloin. Hi Paula, it is a tenderloin. Thank you for bringing this to our attention. We are updating the recipe now. Sunday Dinner here we come!